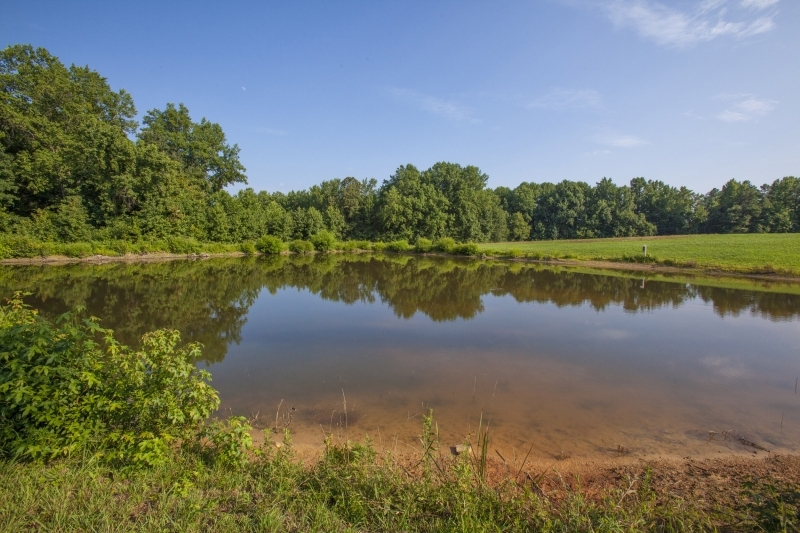 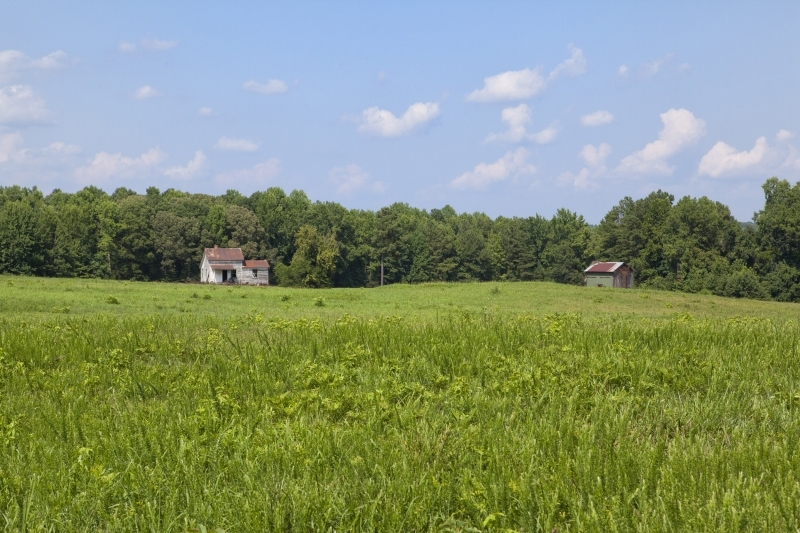 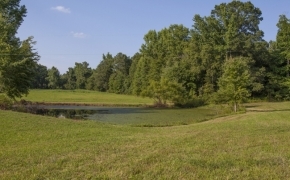 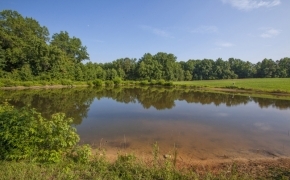 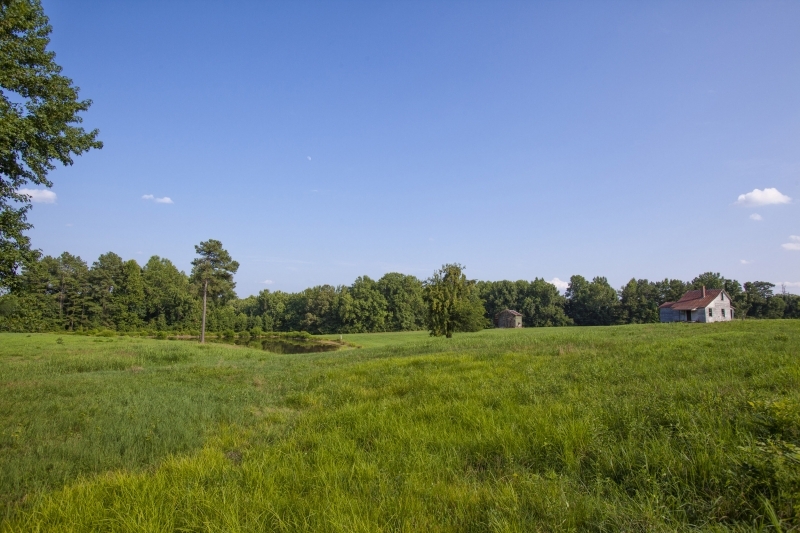 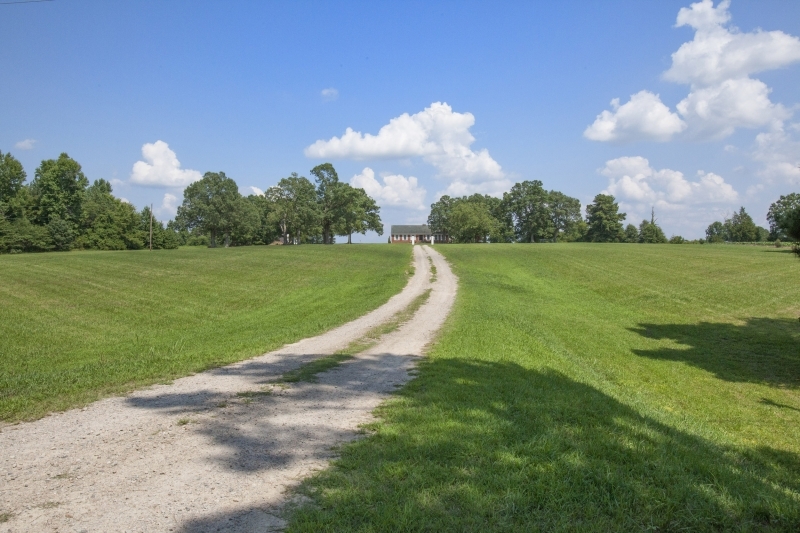 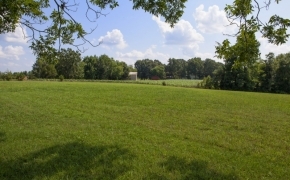 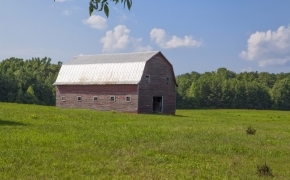 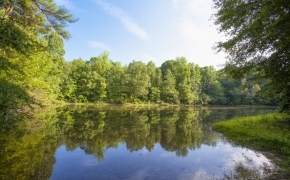 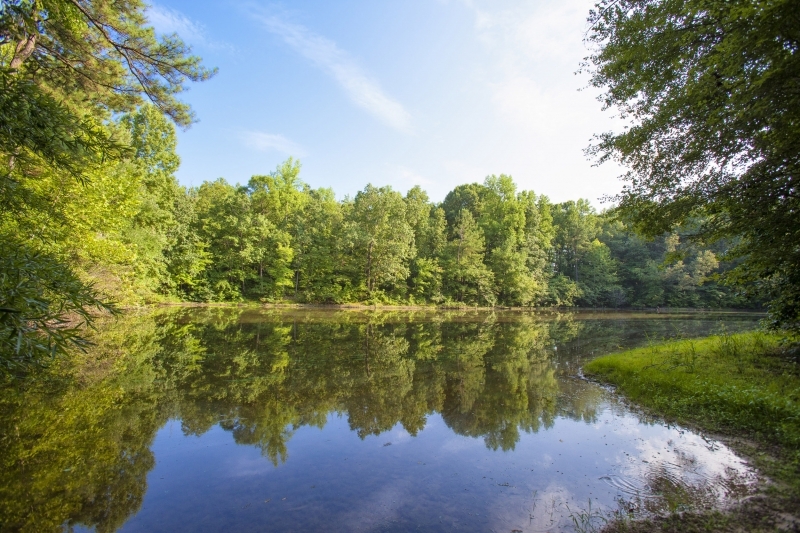 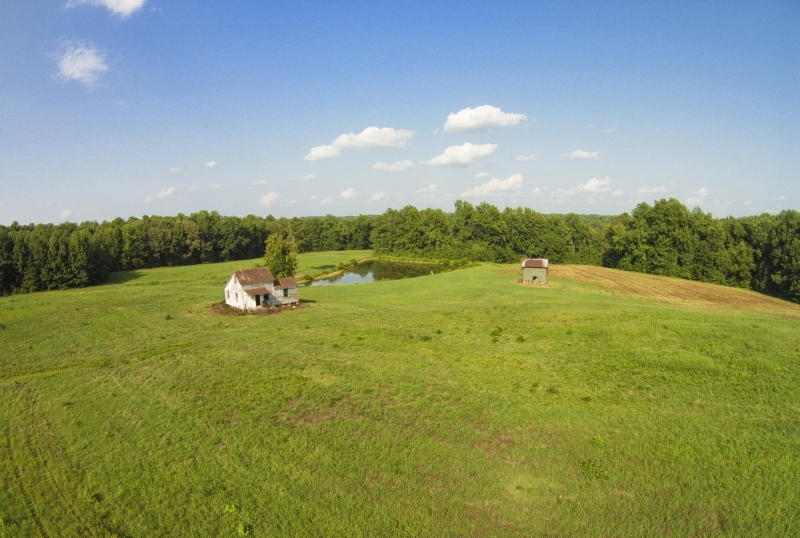 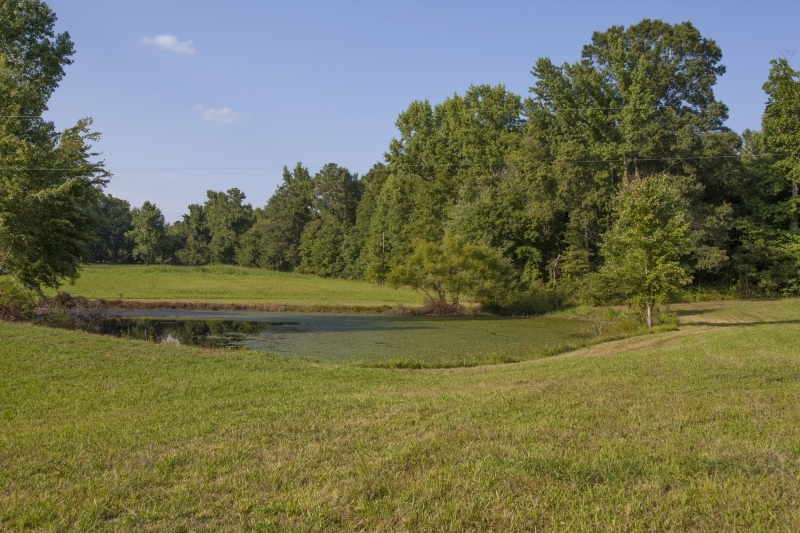 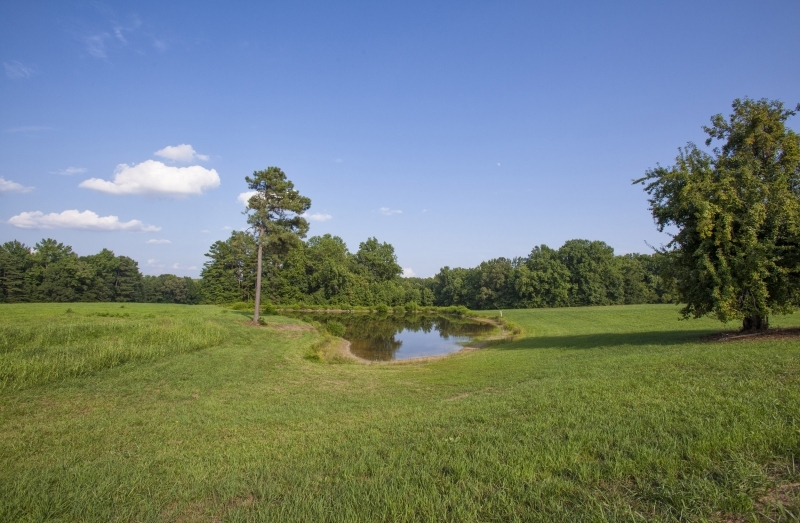 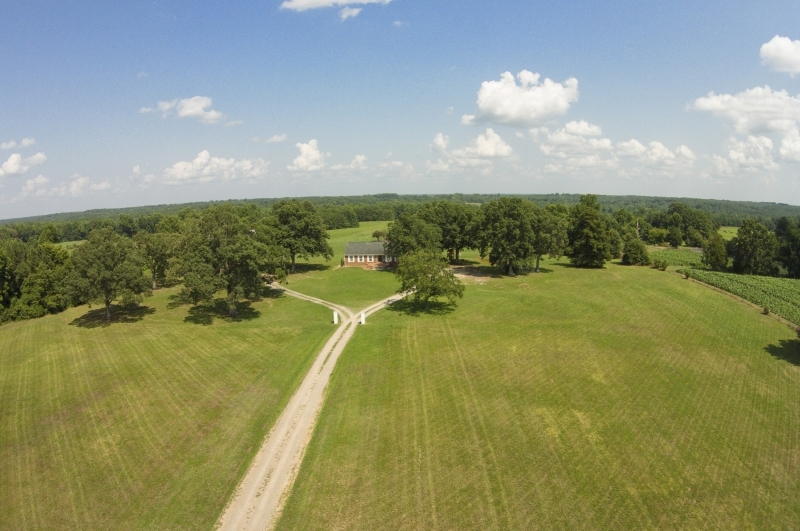 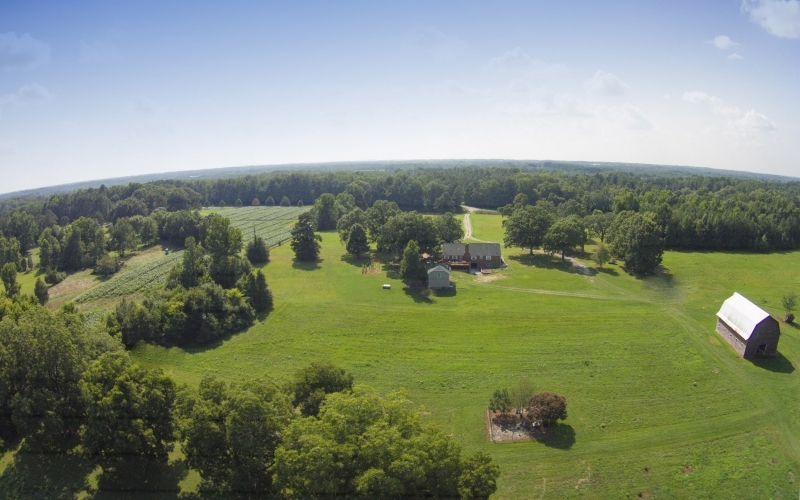 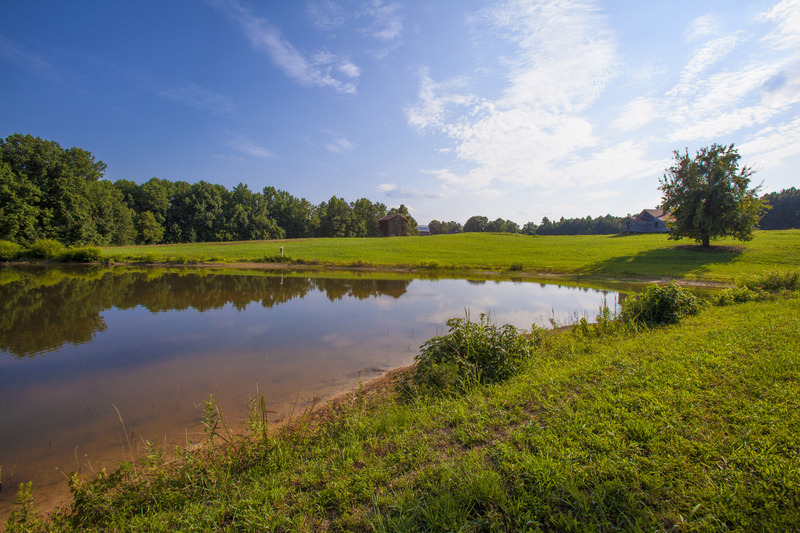 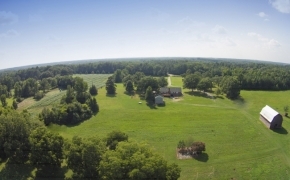 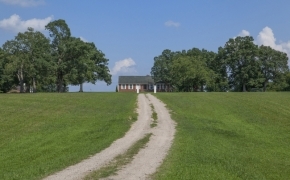 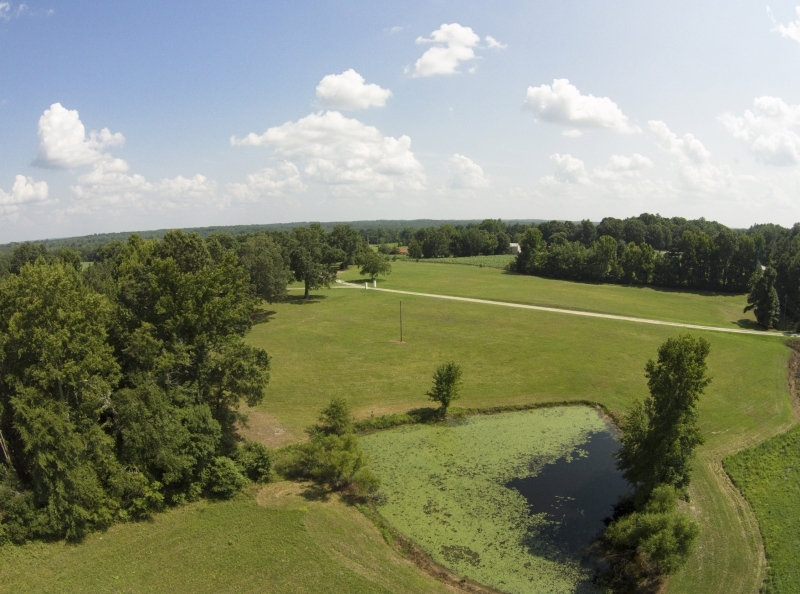 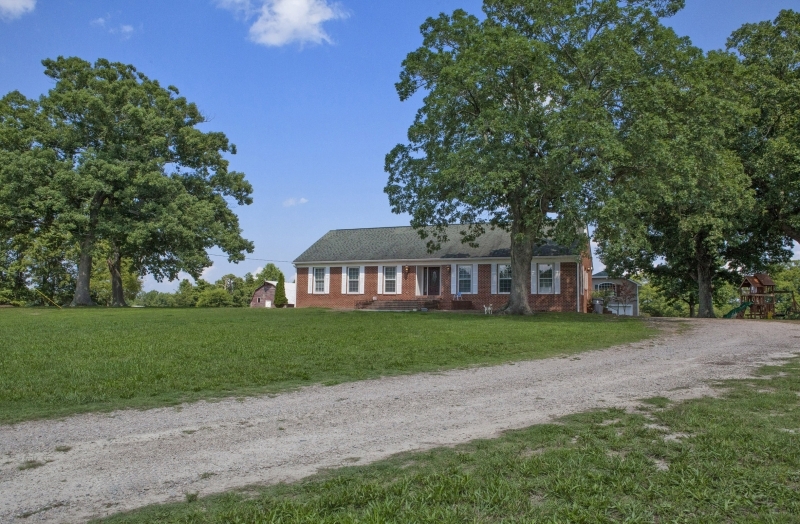 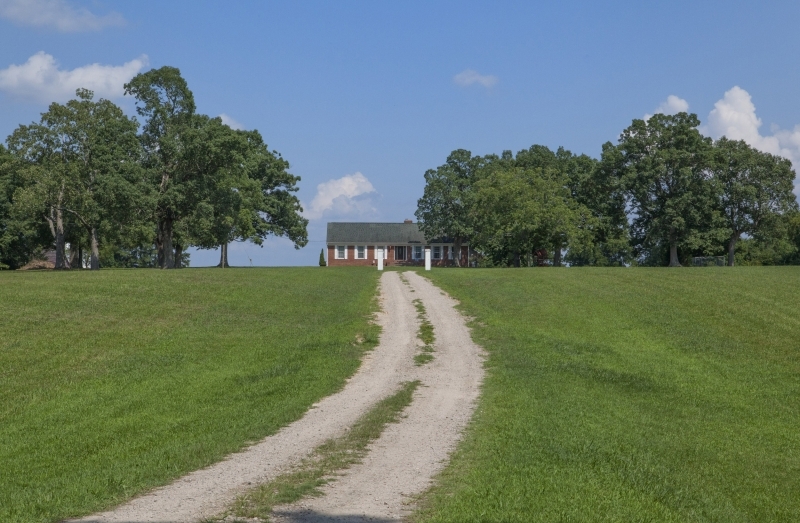 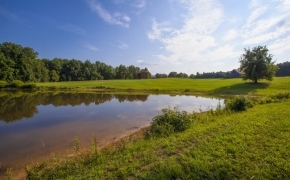 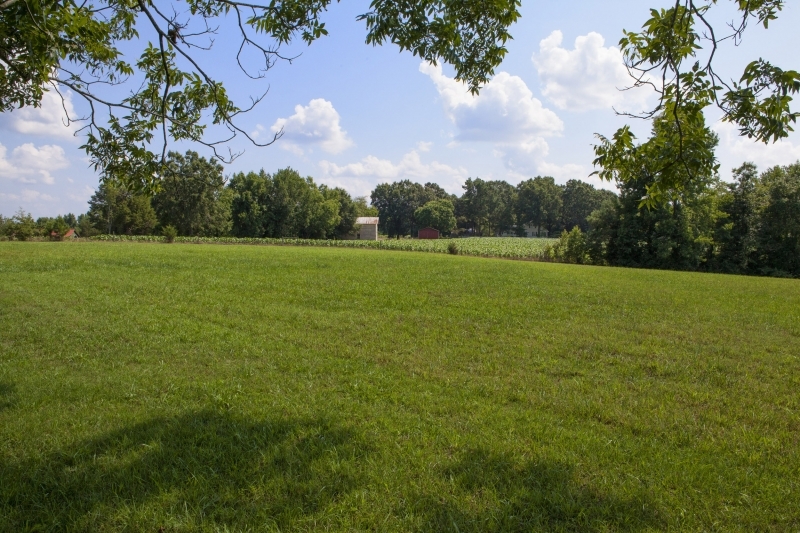 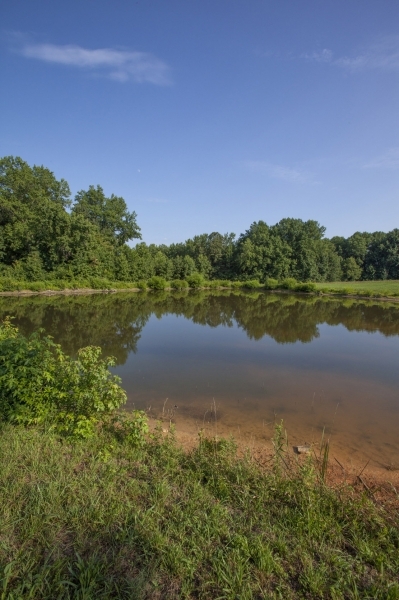 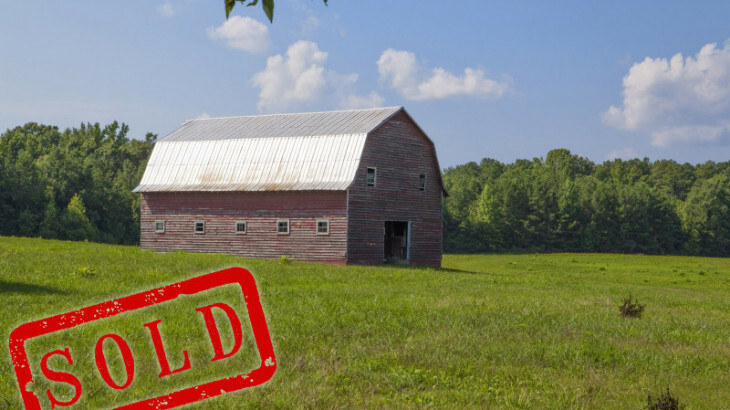 Just a mile from interstate 85 near Oxford, and right by Hwy 96, 1435 Raleigh Street is a beautiful North Carolina farm with a rolling pastures, 3 ponds, and a well-built ranch home with over 2000 square feet! 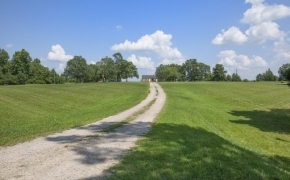 All on 156 acres, this well kept farm has been in the same family for generations and has a spectacular drive in and large front yard. 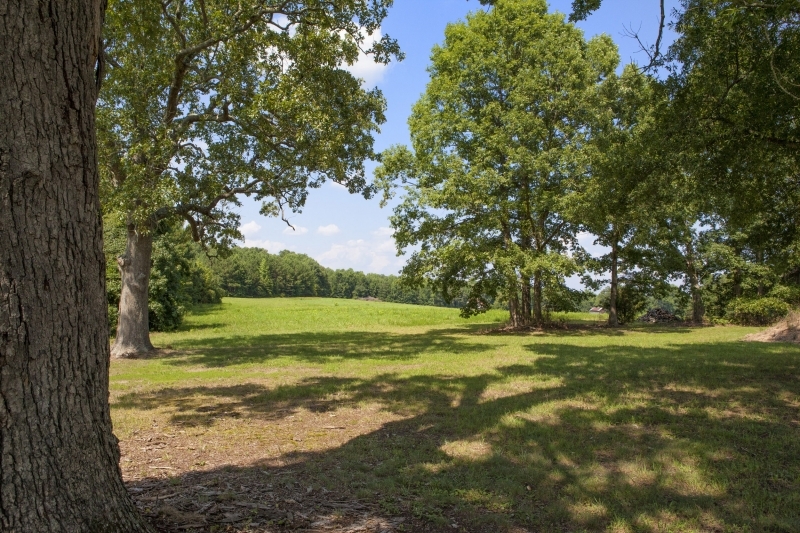 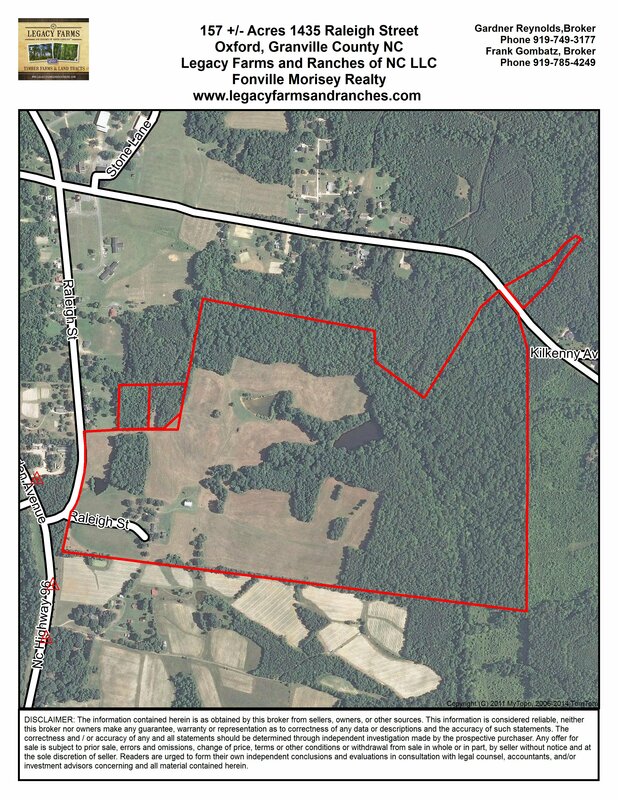 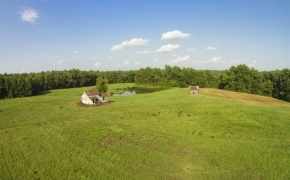 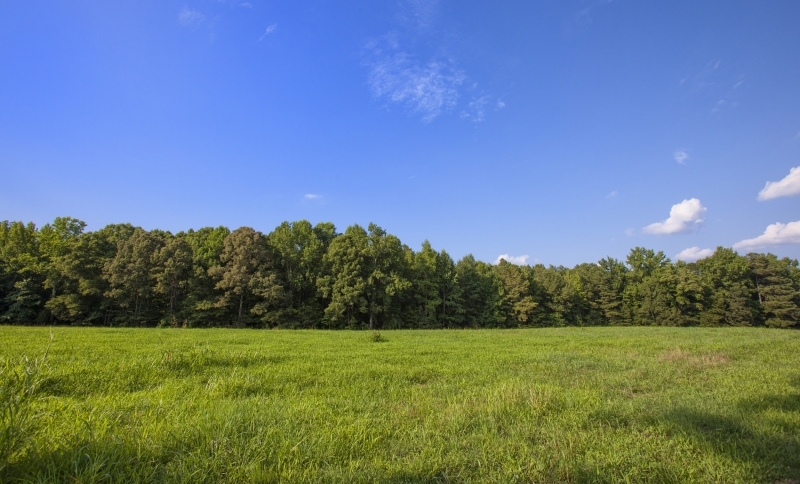 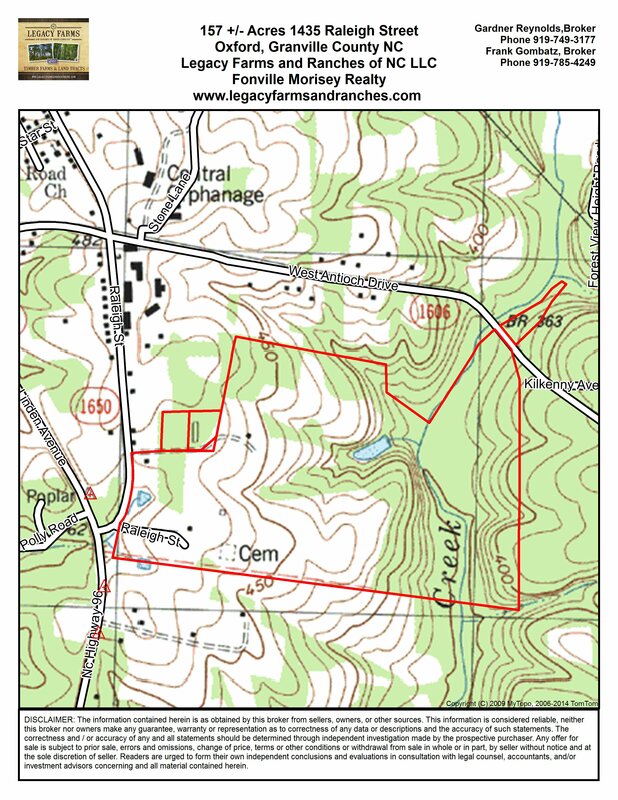 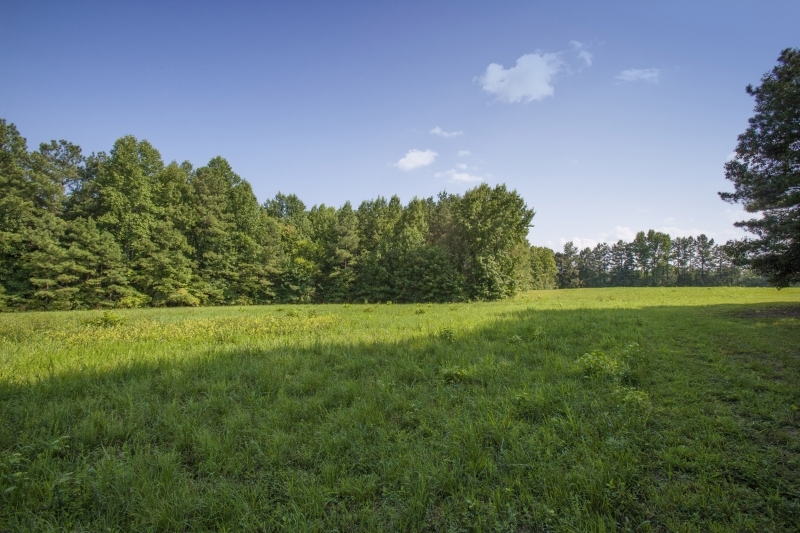 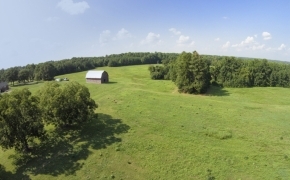 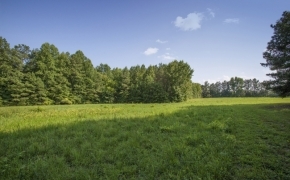 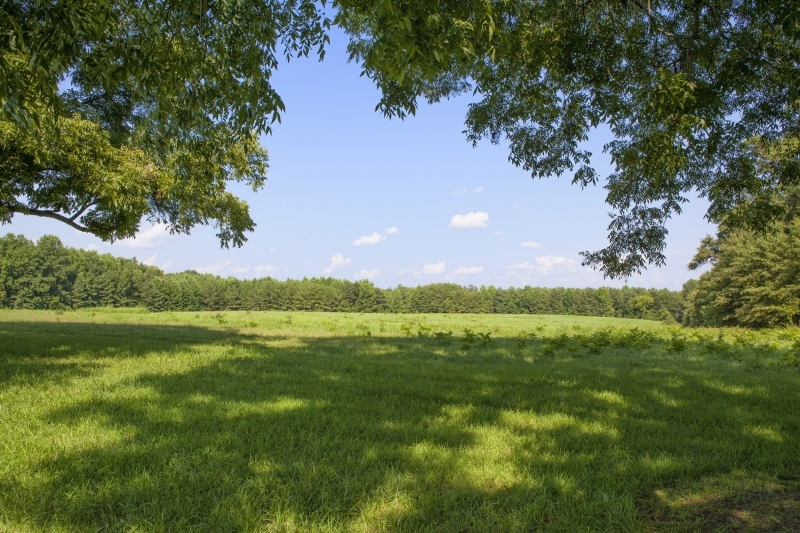 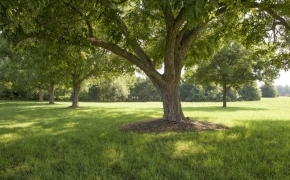 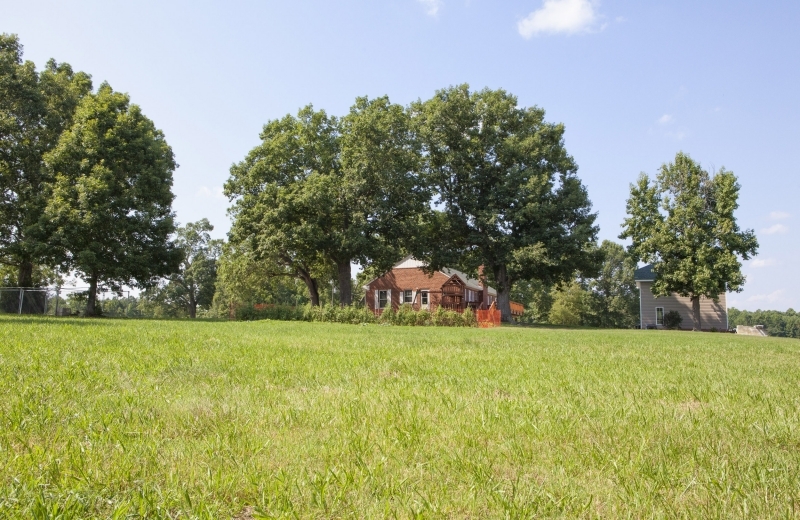 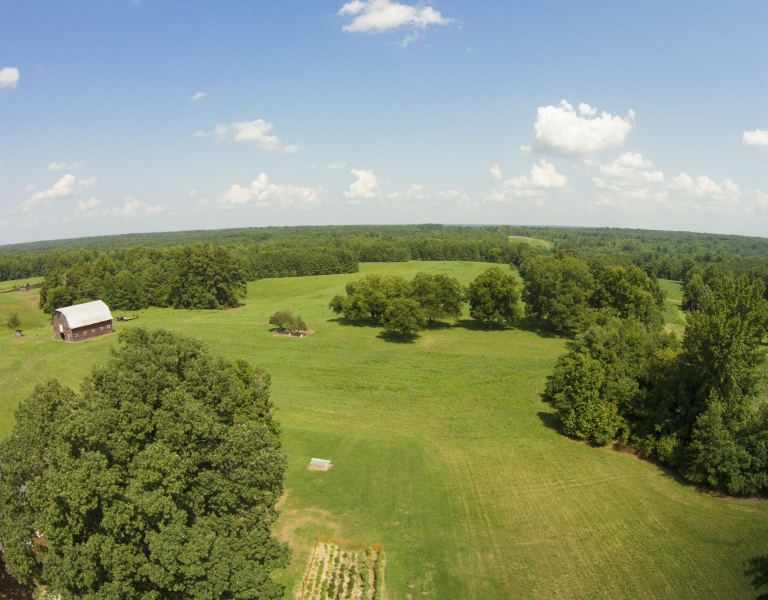 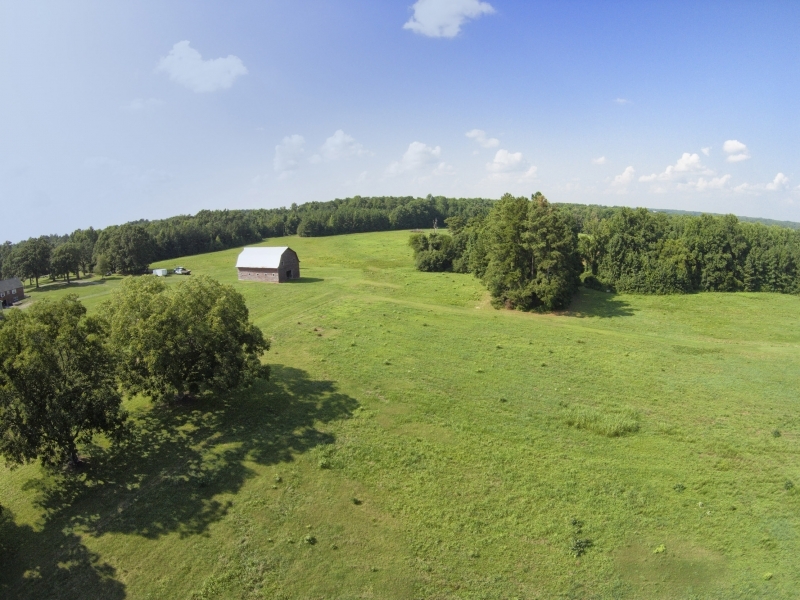 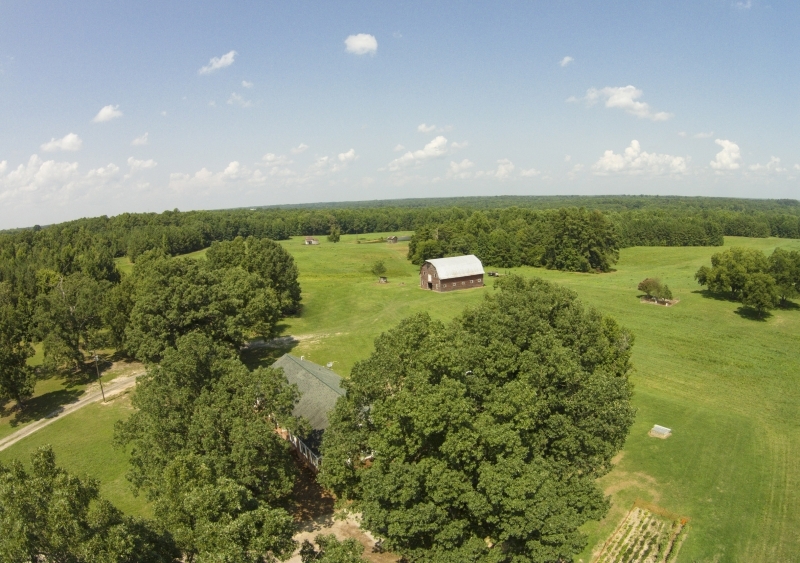 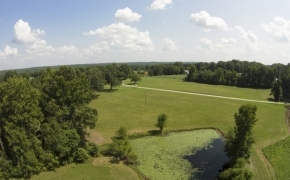 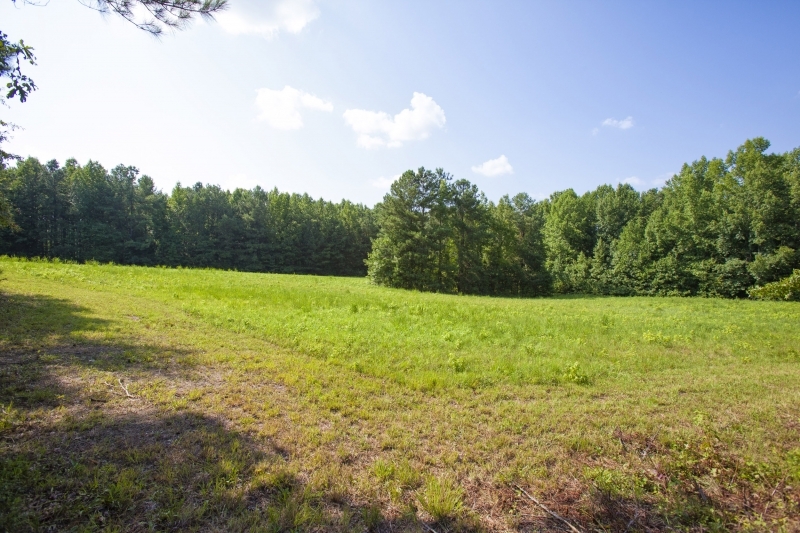 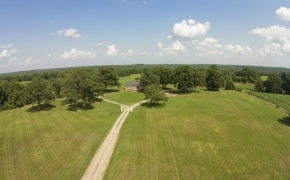 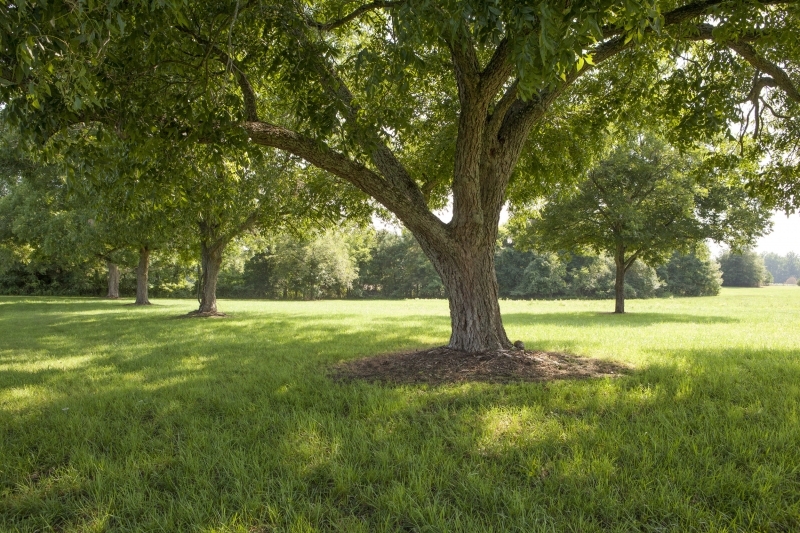 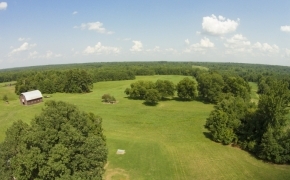 With approximately 45 acres of open fields and over 100 acres of wooded forest the diversity makes a perfect recreational farm or for farming. 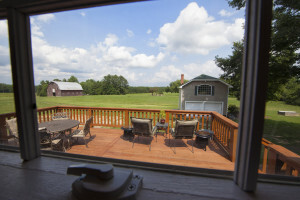 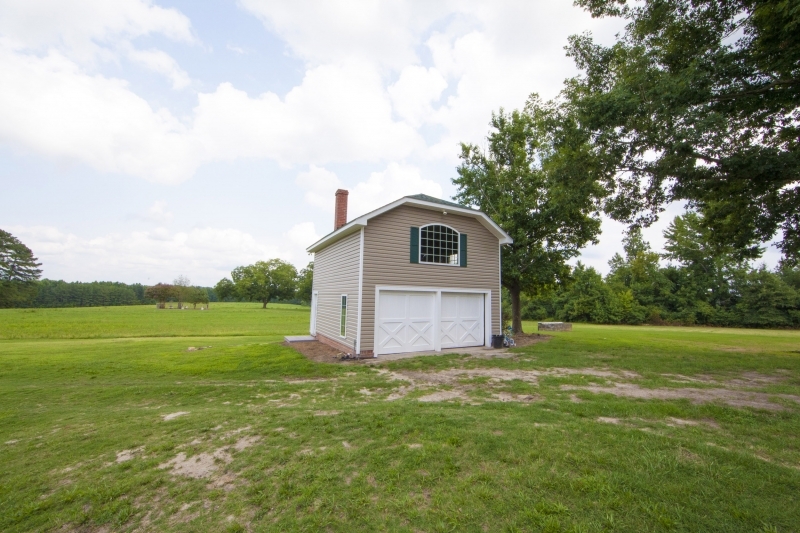 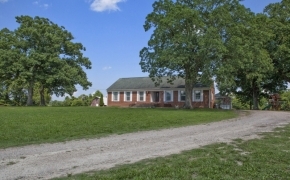 The well-built brick ranch home sits on the highest knoll of the farm and offers great views of the grounds and fields. 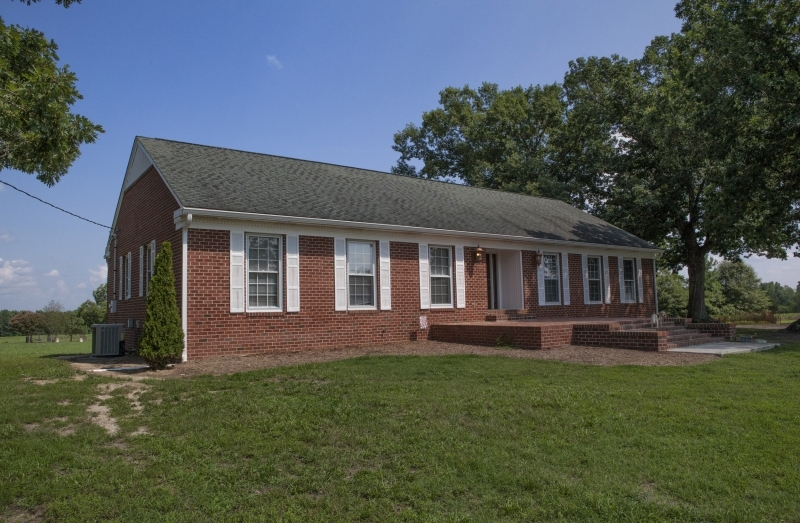 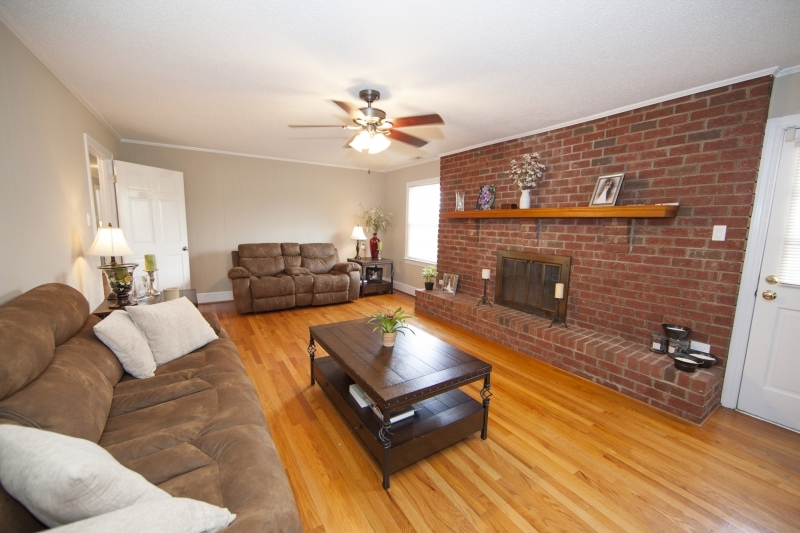 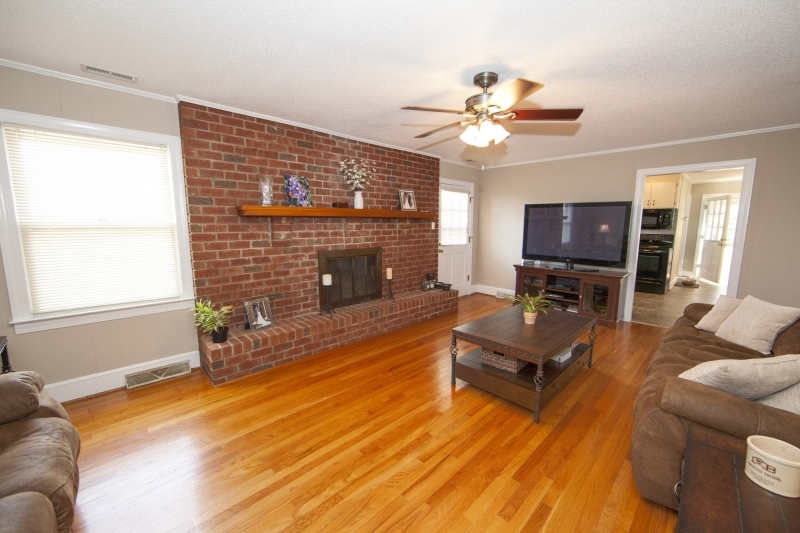 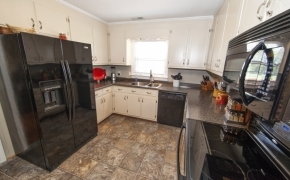 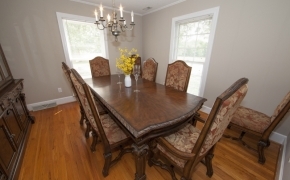 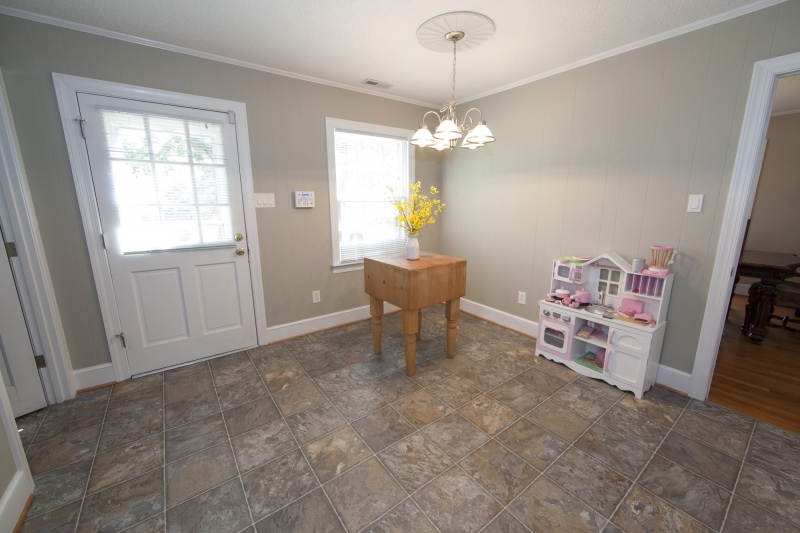 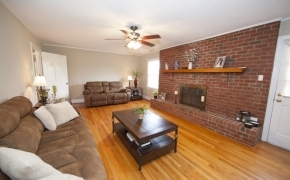 The home is in great shape with many updates, and features a beautiful and spacious kitchen, dining room, living room, and large den with brick fireplace. 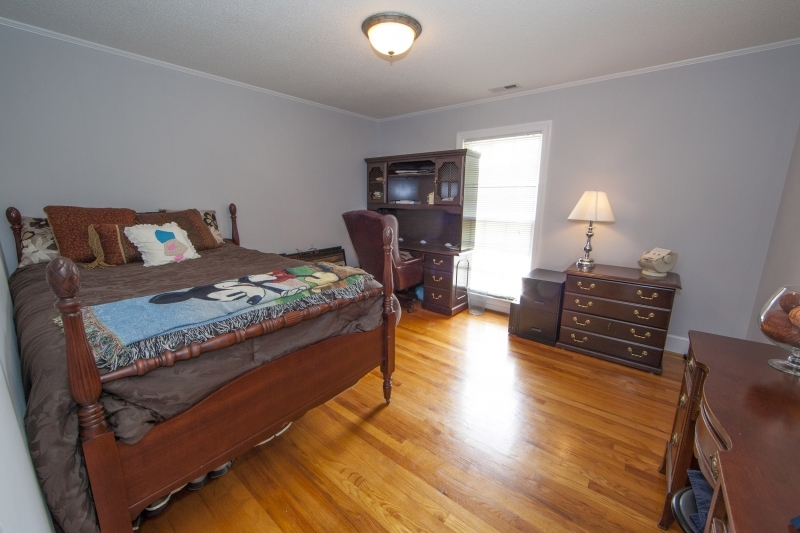 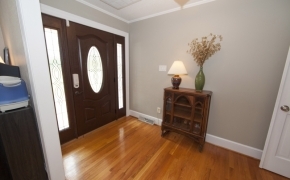 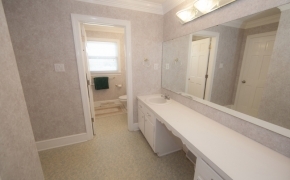 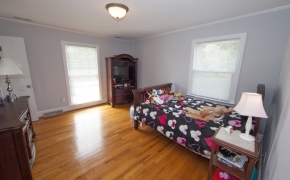 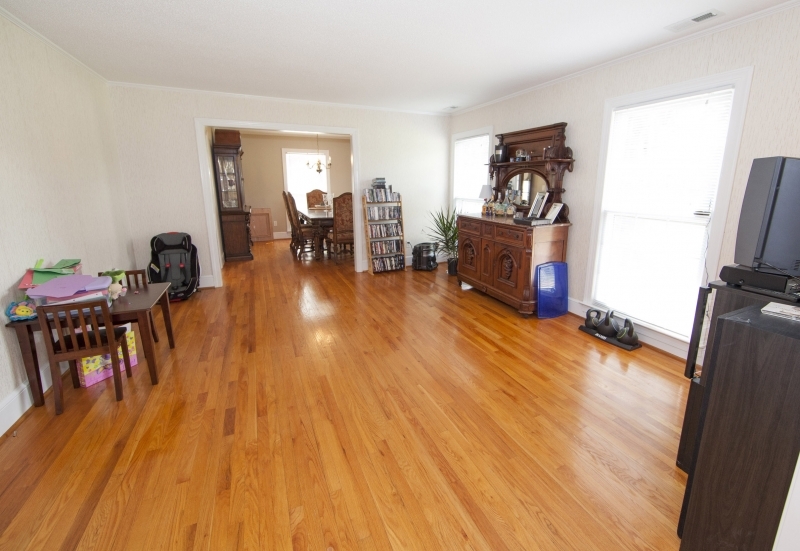 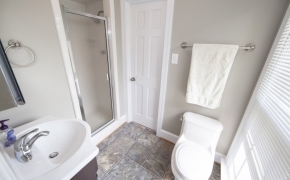 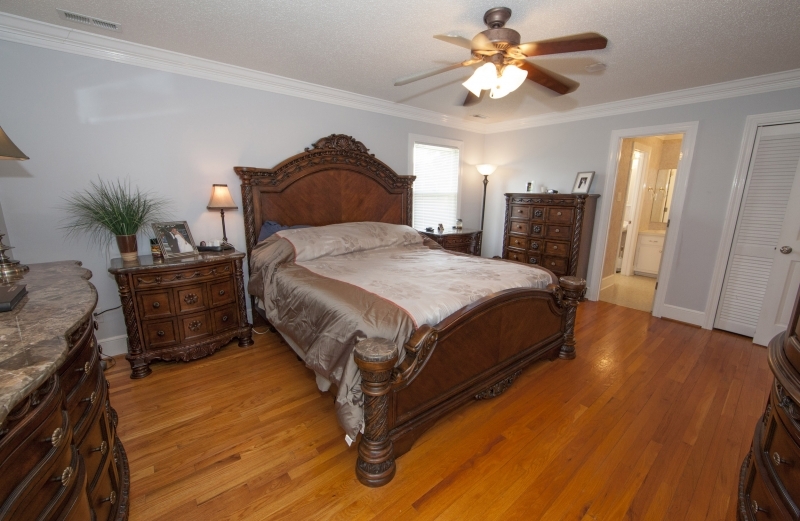 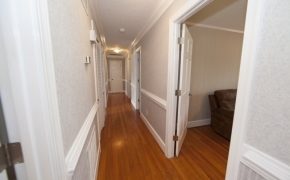 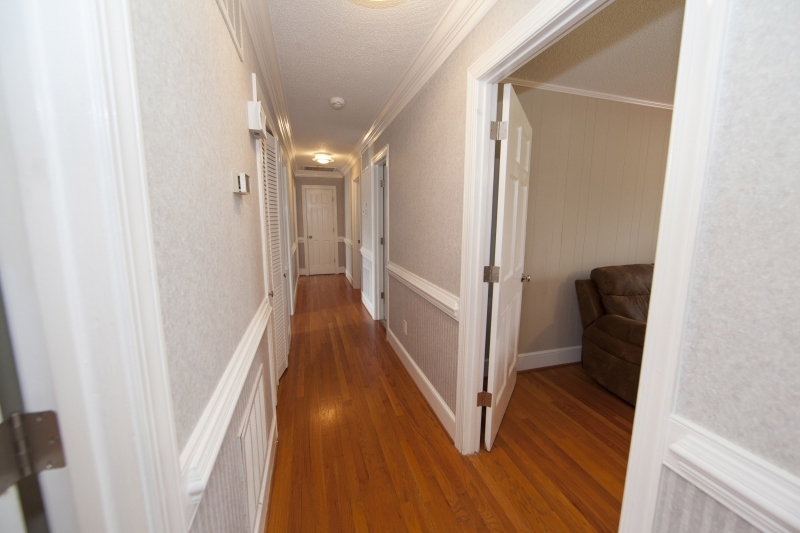 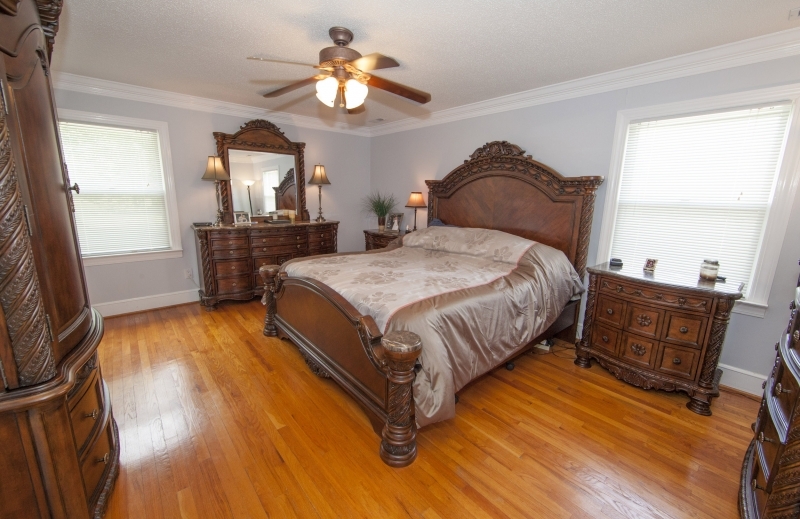 There are 3 bedrooms including the nice master with full bath, and two other bedrooms with a shared bath. 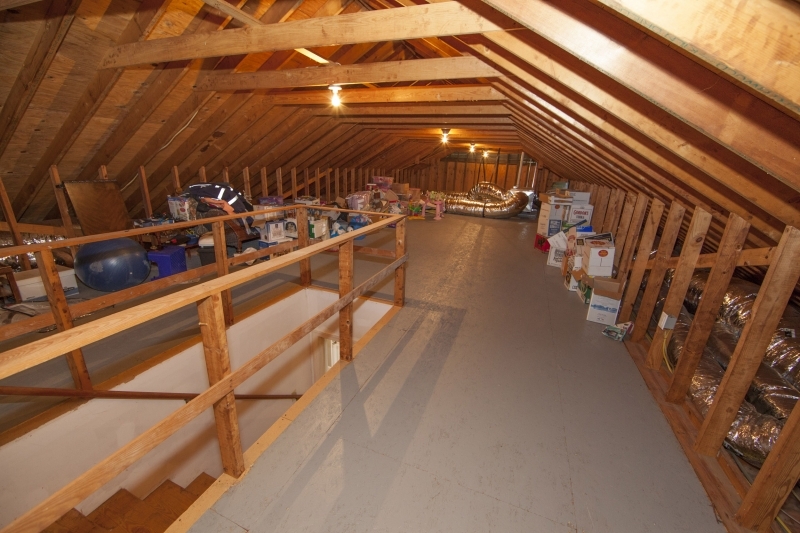 There is also a huge attic upstairs that could be finished space as well. 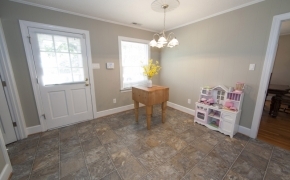 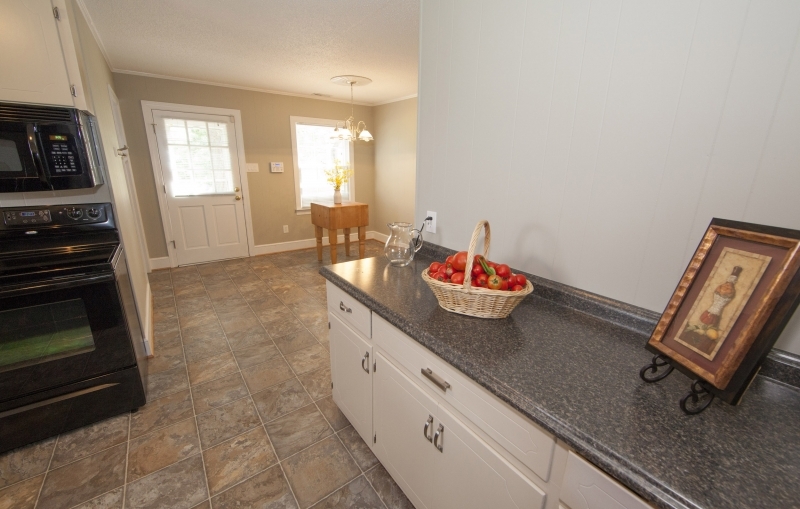 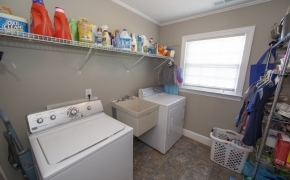 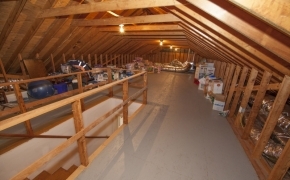 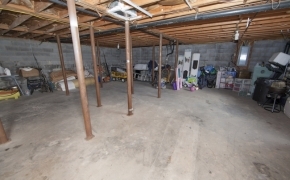 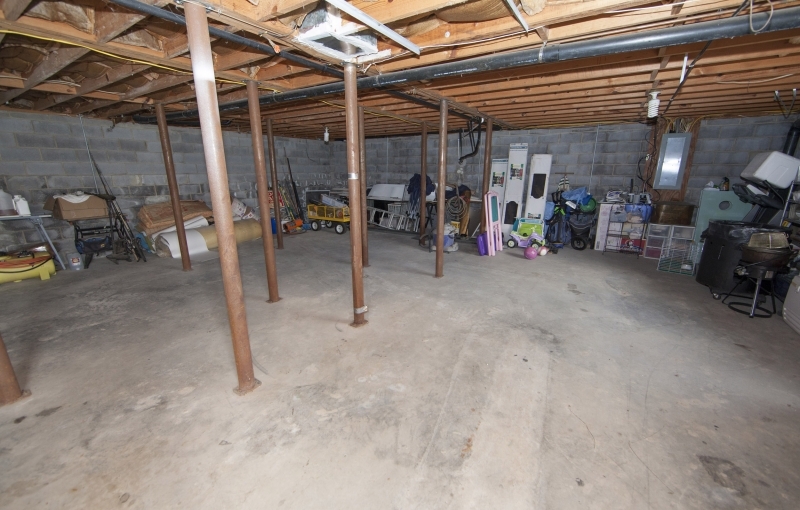 The basement is also large and perfect for storage or recreational space. 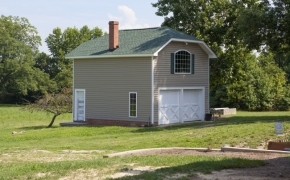 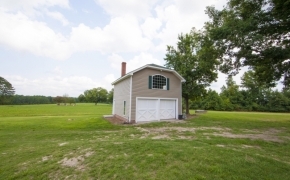 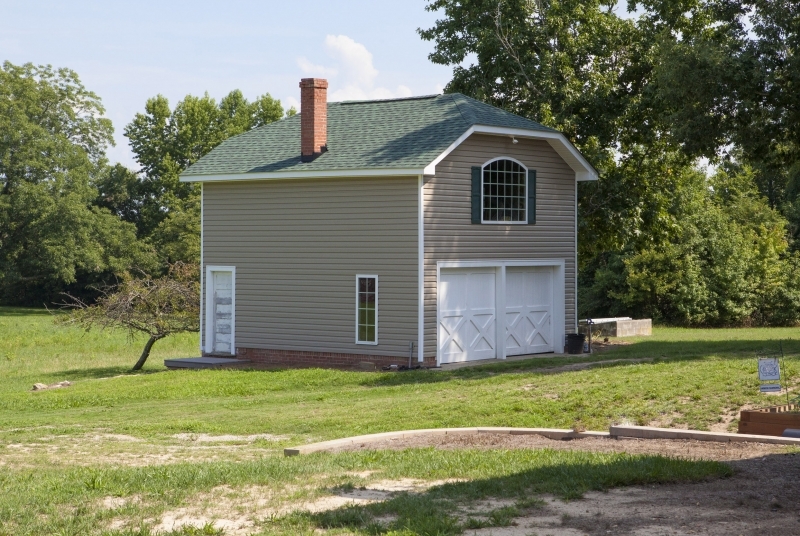 There is also a nice garage- storage building or workshop area behind the house. 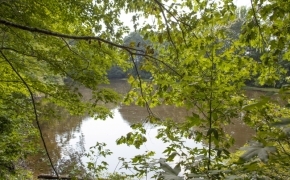 The property is ideal for recreation and the views of the grounds are incredible. 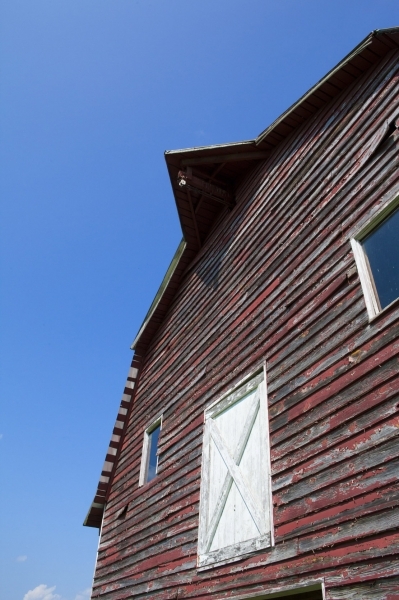 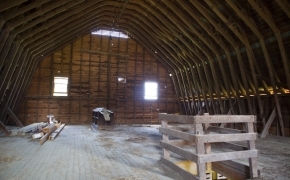 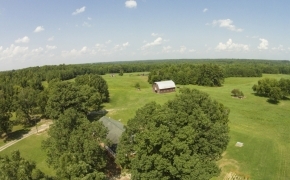 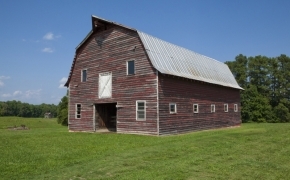 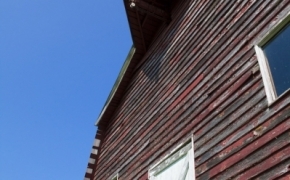 There is an extra large barn with large hay storage, several old outbuildings and barns, mature pecan trees that outline the open fields, and tons of open pasture and farming land.There is substantial and mature timber on the farm, harvestable now or in the future. 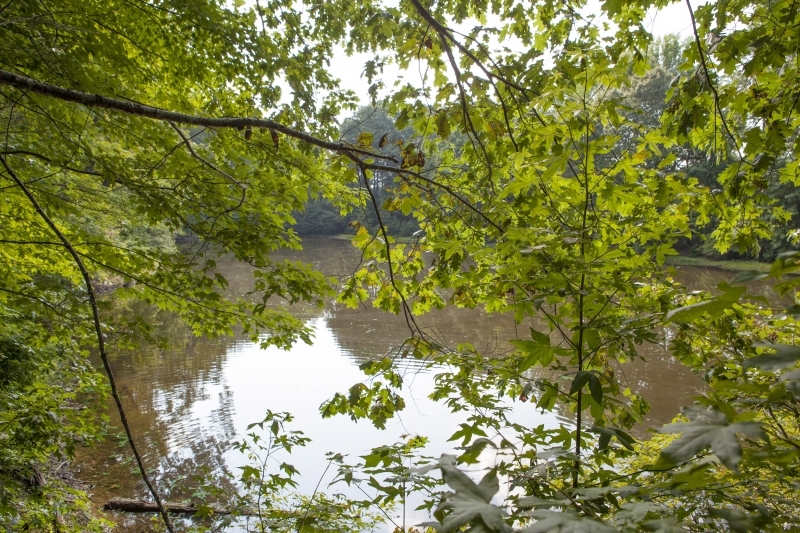 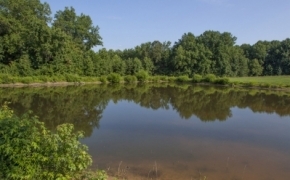 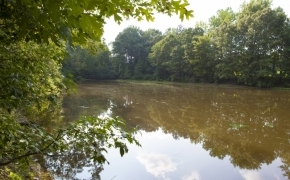 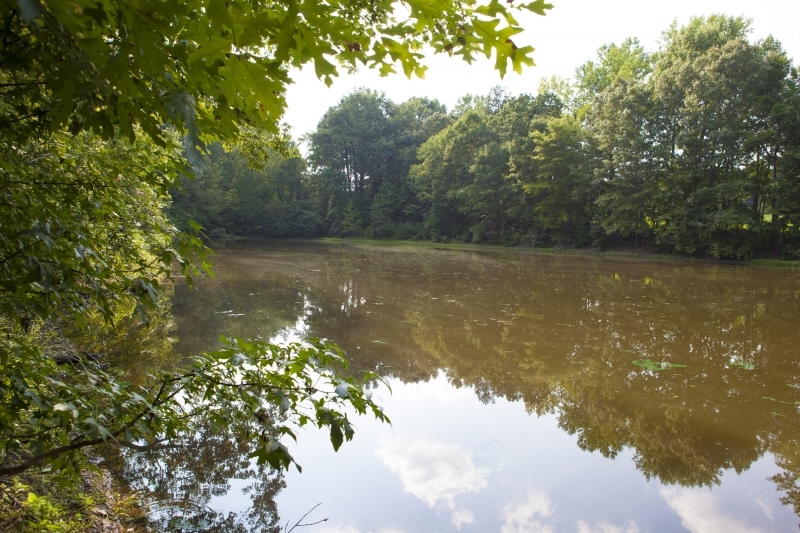 There is a nice hardwood ridge that drops down to a creek bottom and the 3 ponds offer lots of fishing opportunities for the whole family. 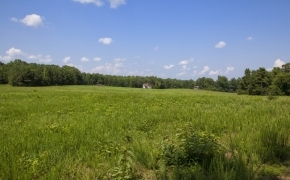 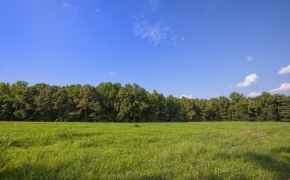 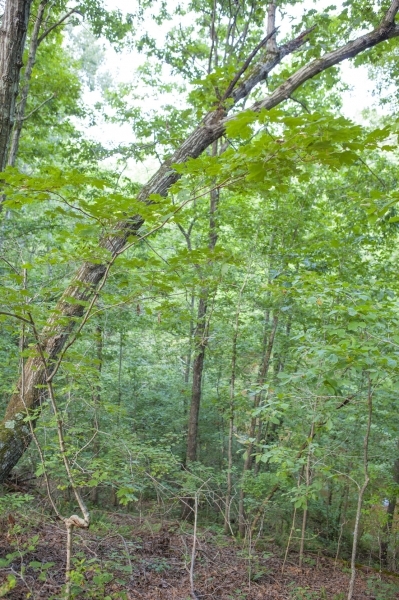 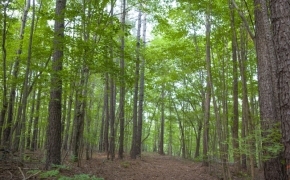 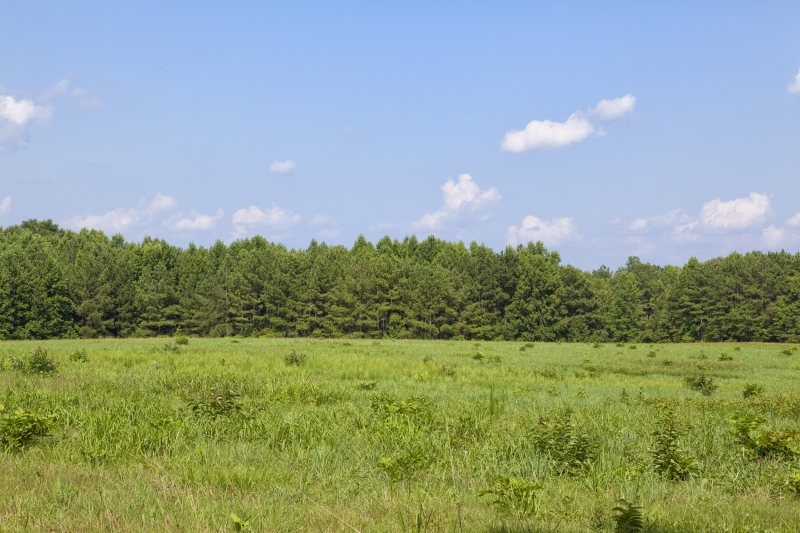 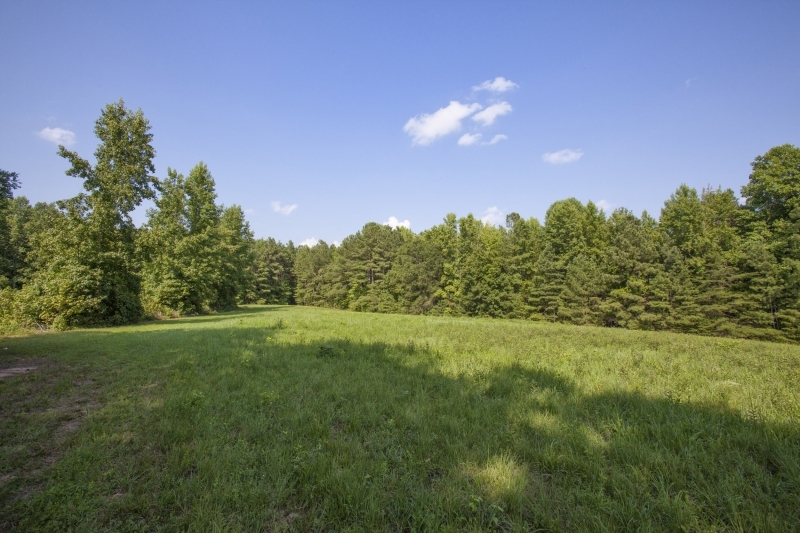 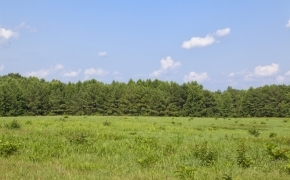 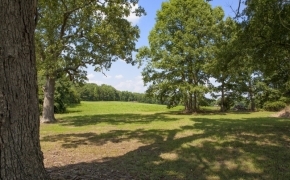 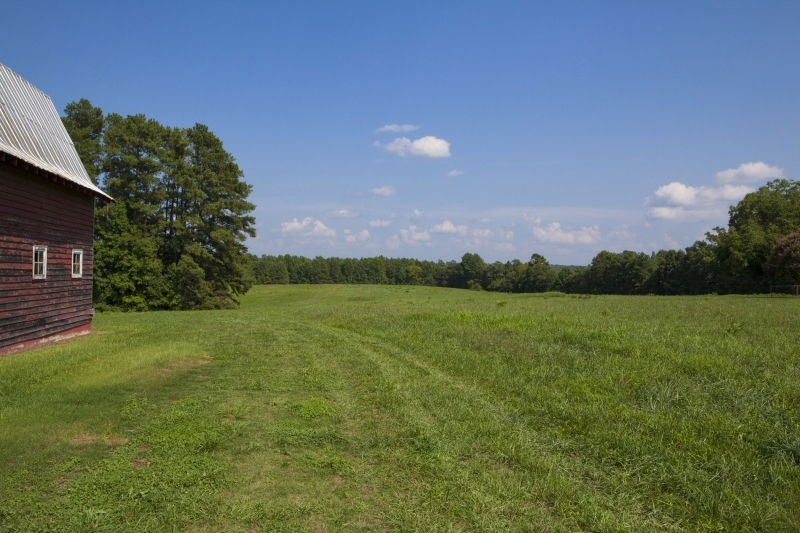 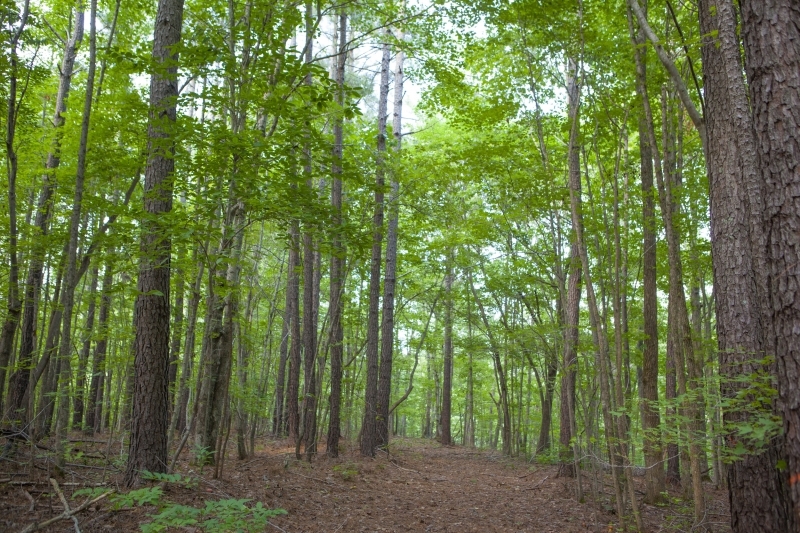 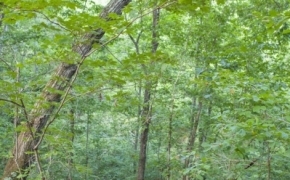 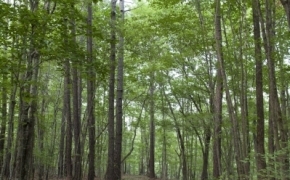 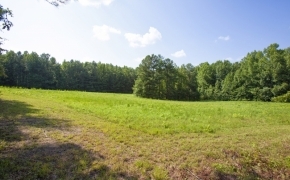 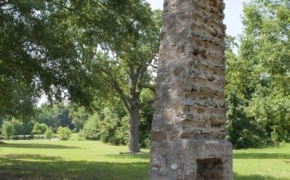 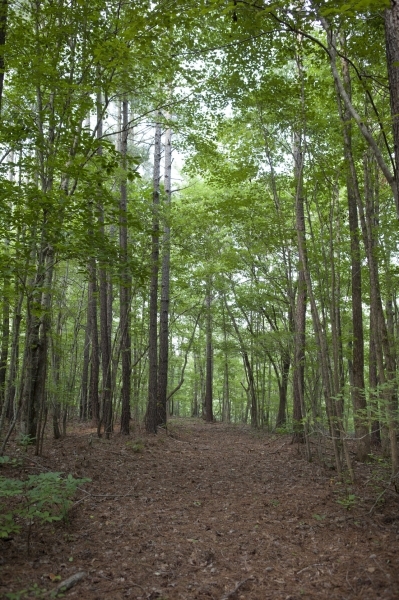 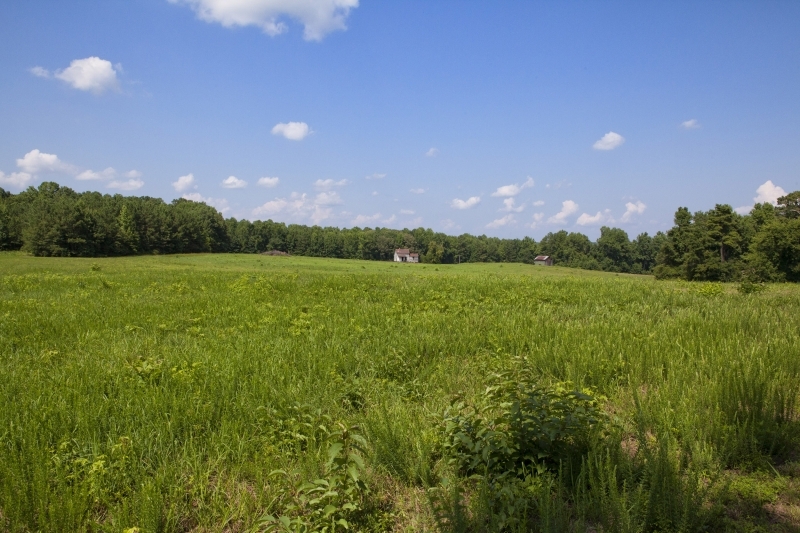 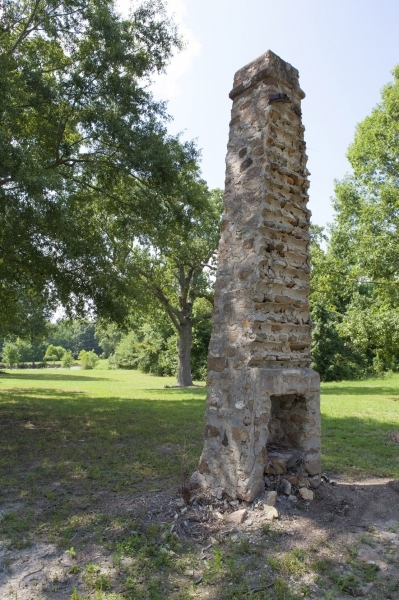 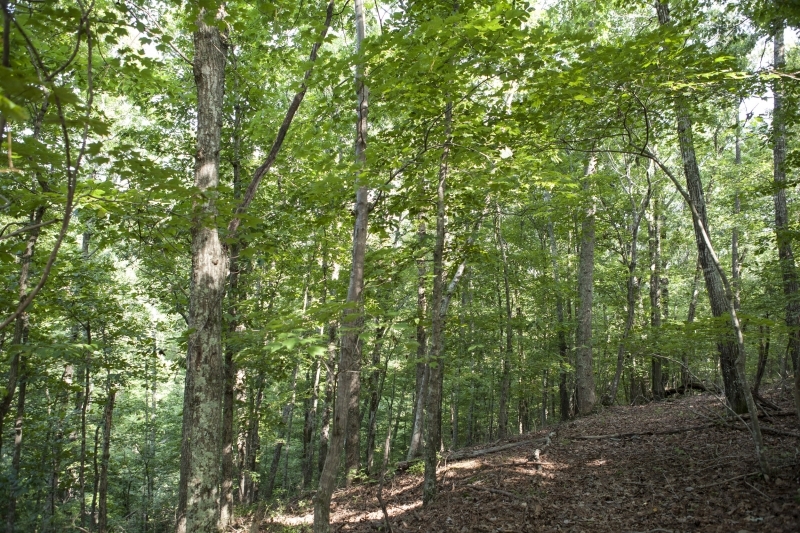 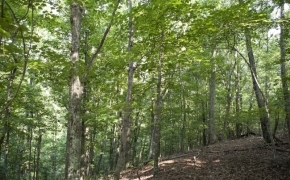 The open fields can be farmed, or enjoy the many hunting opportunities with deer and turkey. Easy Access to I-85, Raleigh & Durham and close to shopping. 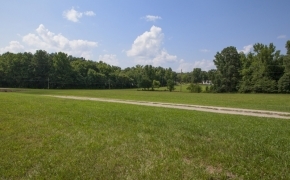 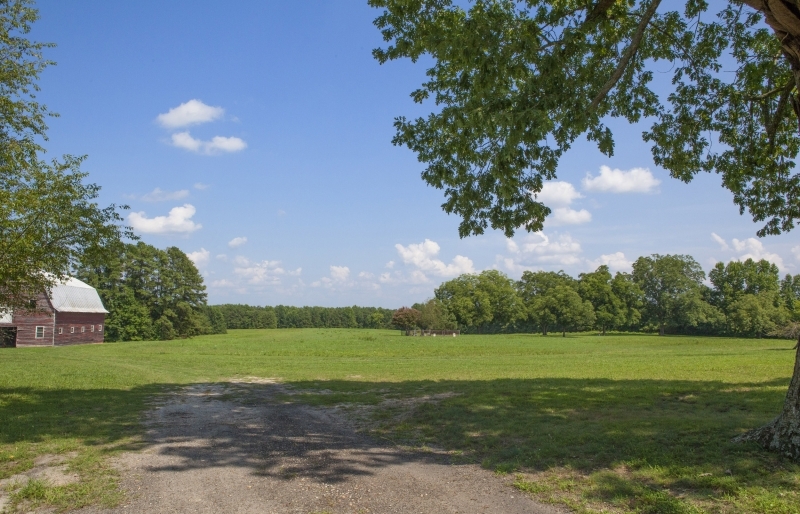 Ideal For Horses, Farming, Recreational Activities or Investment!